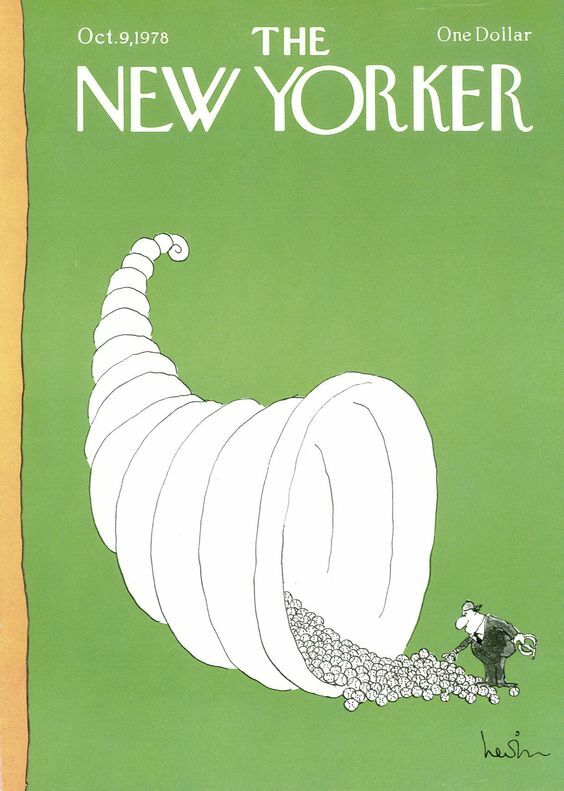 Arnie Levin is one of the many New Yorker cartoonists and cover artists whose style probably isn’t immediately identifiable to readers, but whose constant presence since 1974 has contributed incalculably to the magazine’s identity and success. The liveblog can be found here. Viewed 185 times on Twitpic. While the Liberals are mired in corruption and the PQ plans more restrictive language laws, the CAQ (Coalition Avenir Québec) promises to cut thousands of government jobs and abolish school-boards in the province. R.C. 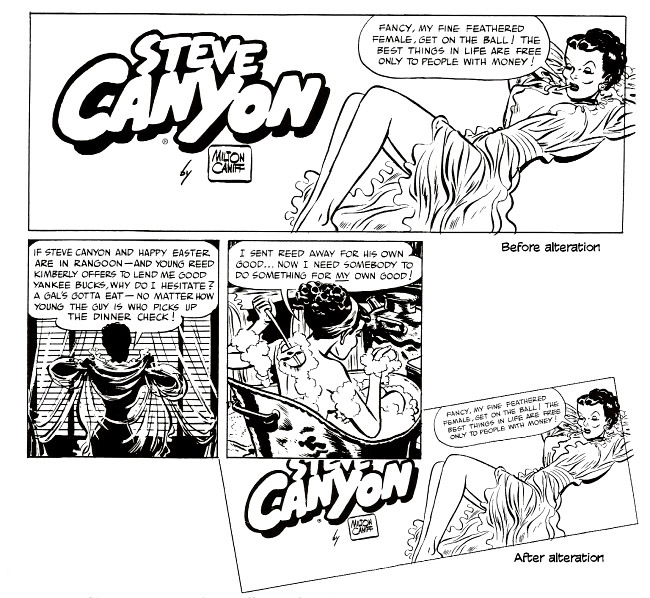 Harvey in The Comics Journal. 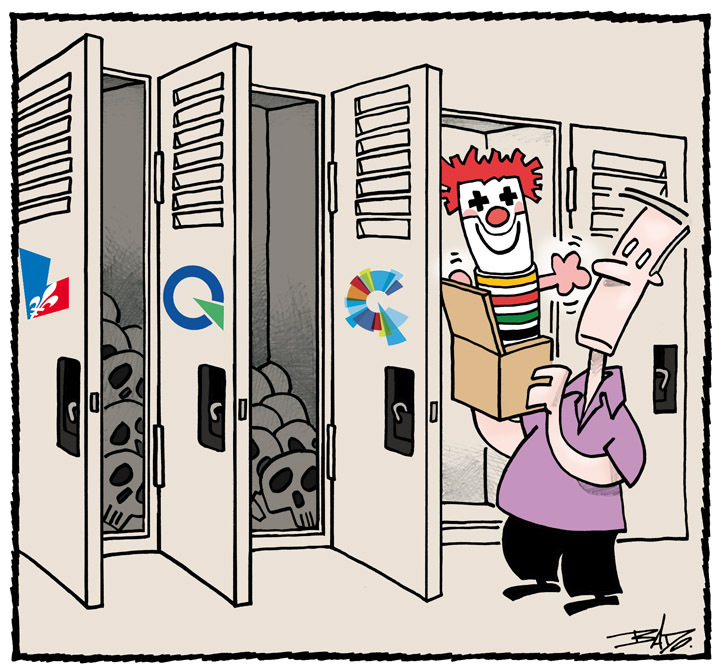 Ward Jenkins posted the following in Drawn. Uli Meyer & his crew have been working on an official animated feature featuring the girls of St. Trinian’s. Official in the sense that Ron Searle himself had given Uli his permission to create the film before he passed away. The wonderful thing about this film is the fact that it’s 100% hand-drawn animation AND hand-inked on frosted cels. No Cintiqs to be found on this production. The tests I’ve seen so far are simply amazing. Be sure to check out the production Blog for Animated St. Trinian’s. Posted by Charley Parker in lines and colors. 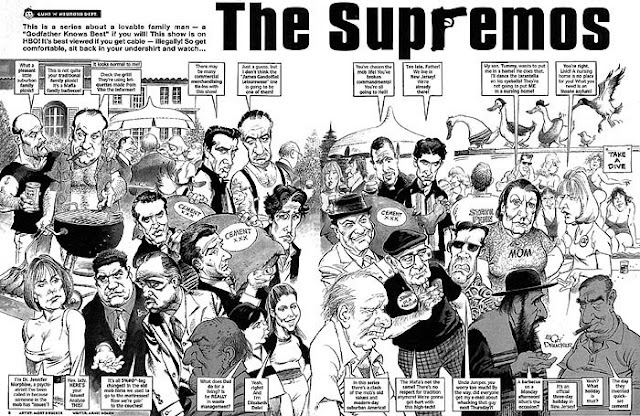 Mort Drucker is one of the finest caricaturists and cartoonists of our age. He is often overlooked for a couple of reasons. 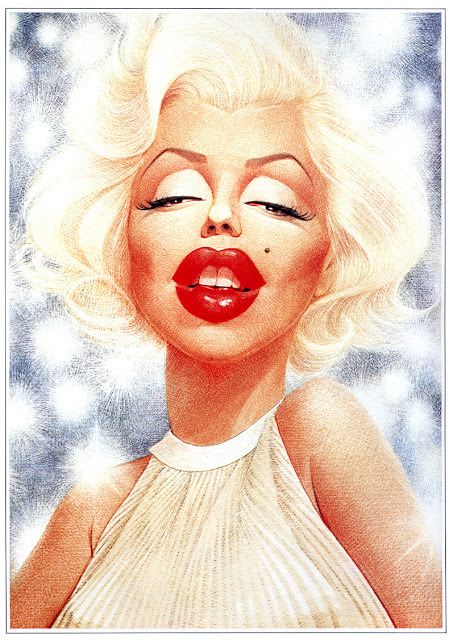 One reason is that he is overshadowed by the attention paid to people like Al Hirschfeld and David Levine, along with editorial cartoonists and other caricaturists who work in more literary and cultural venues. The other is that Drucker’s main venue, aside from occasional Time and TV Guide covers, has been Mad magazine, and you don’t get much more culturally disrespected than that. From the Daily Heller blog. 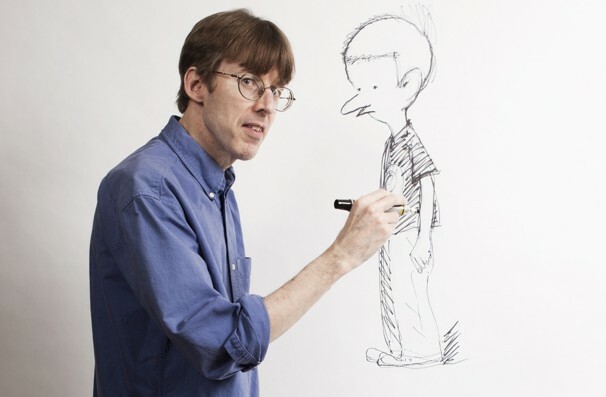 End of the line for "Cul de Sac"
Richard Thompson announced yesterday on his blog that he would no longer be drawing "Cul de Sac". 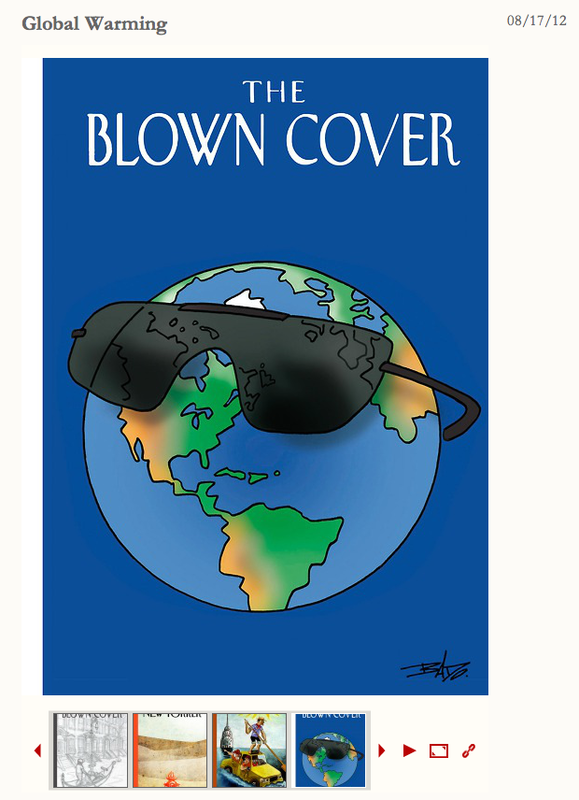 The theme of the Blown Covers contest was "Global Warming". 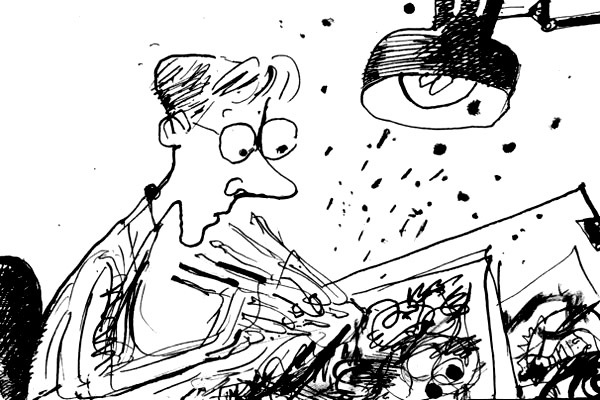 Vancouver-based writer and cartoonist Geoff Olson examines the present state of editorial cartooning in the August issue of Common Ground. Dave Rosen knows a thing or two about humour. 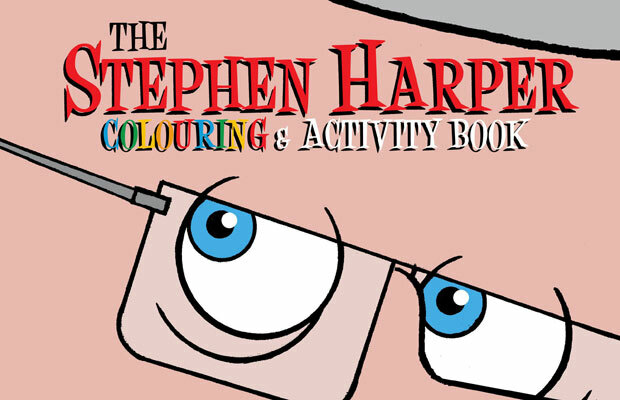 In 2011, the Montreal-based satirist released The Stephen Harper Colouring & Activity Book. For five years, he wrote and produced a weekly comedy spot for CBC Radio called What Happened? For nine years, he was the regular editorial cartoonist for the English alt-weekly the Montreal Mirror. His last cartoon for the publication was of Quebec premier Jean Charest on the beach, holding a seashell to his ear and hearing the clang of pots and pans. 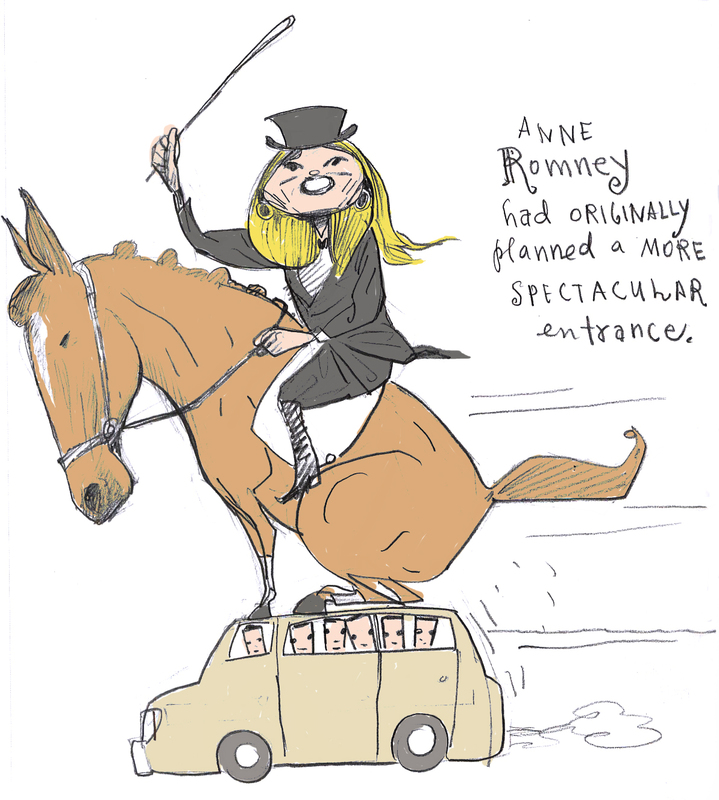 From the Muddy Colors blog. In preparation for his then upcoming retrospective Transe Forme, Fondation Cartier recorded Moebius doing a series of digital drawings. Recorded in late 2010, these are some of, if not, the last recordings of Moebius drawing that we are likely to see. 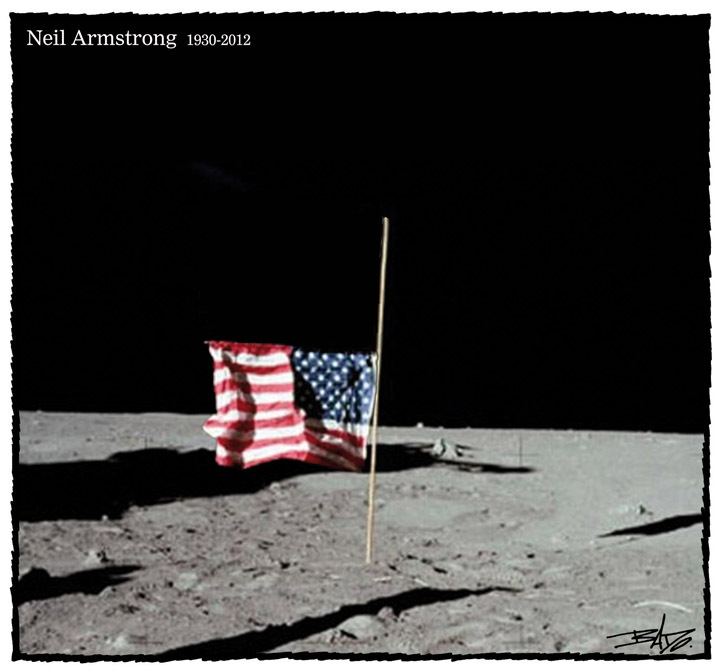 Since his death this past March, it's a rare treat to discover anything new from the Artist. Enjoy! 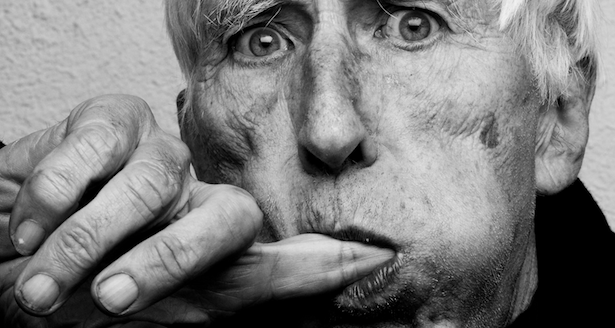 Far Out Isn't Far Enough: The Tomi Ungerer Story. 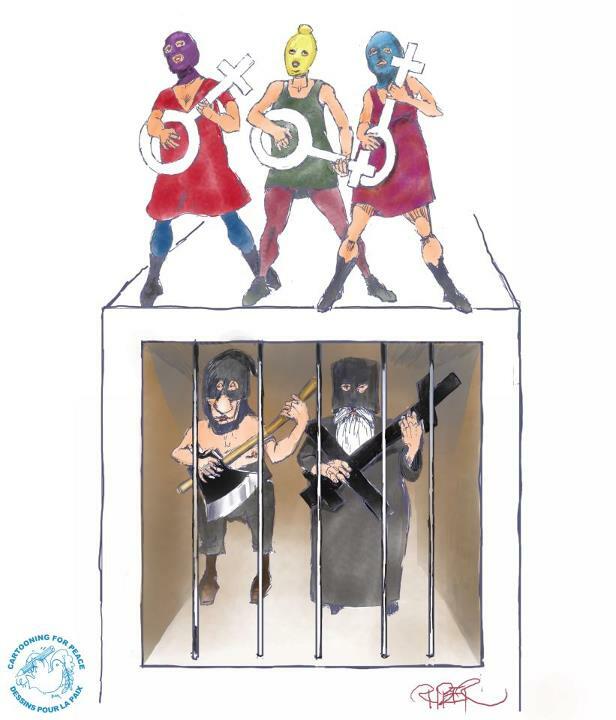 Tomi Ungerer got famous from his children's books in the '60s, but then fell into scandal. A new documentary finds out what happened when he left the spotlight. The New York Time's March 26, 2011 Saturday Profile. Claude Angeli had his little black book on the table — a real little black book, leather bound and yellowing pages. No BlackBerry. No iPhone. No computer in sight. 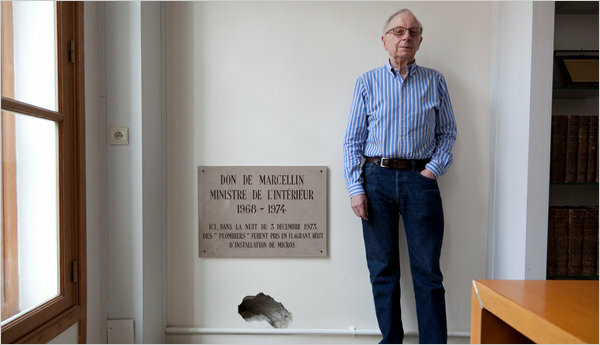 Mr. Angeli is the 79-year-old executive editor of Le Canard Enchaîné, a weekly satirical newspaper. He writes his articles longhand. Posted by The New Yorker. Wonderful news! 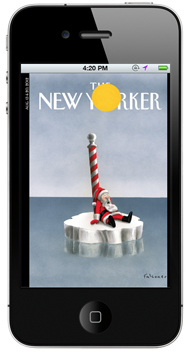 We’ve finally figured out how to take the weekly print edition of The New Yorker and fold it down to a three-inch size that fits inside your iPhone. Our new app has every story, every cartoon, every em dash, every illustration, and the new issue is available each Monday. Plus, there are special audio and video features previously found only in the tablet edition. Poets reading their poems. Music clips. TV commentary. Slide shows. Excerpts. Infographics. Links to source materials and pieces from the archive. Excellent infography concept with “The Olympic Rings” based on the rings of the Olympic Games, representing the different continents of the planet. The work was created by Gustavo Sousa with statistical data based on these colours: (Oceania, Europe, America, Africa, Asia). From Daryl Cagle's Cartoon Blog.